On Sunday, July 31, 2016, President of NMV International David Balyeat was the guest preacher at Iglesia Bautista de Pompano Beach in Florida. At 9:45am, he gave a seminar on No More Bullying. Many families in this church have children who are struggling with bullies in their schools and communities. No More Violence, A Message from God teaches on how to stand tall in the face of bullies, by first learning your own value, and then understanding that a bully is usually someone who has suffered violence themselves. 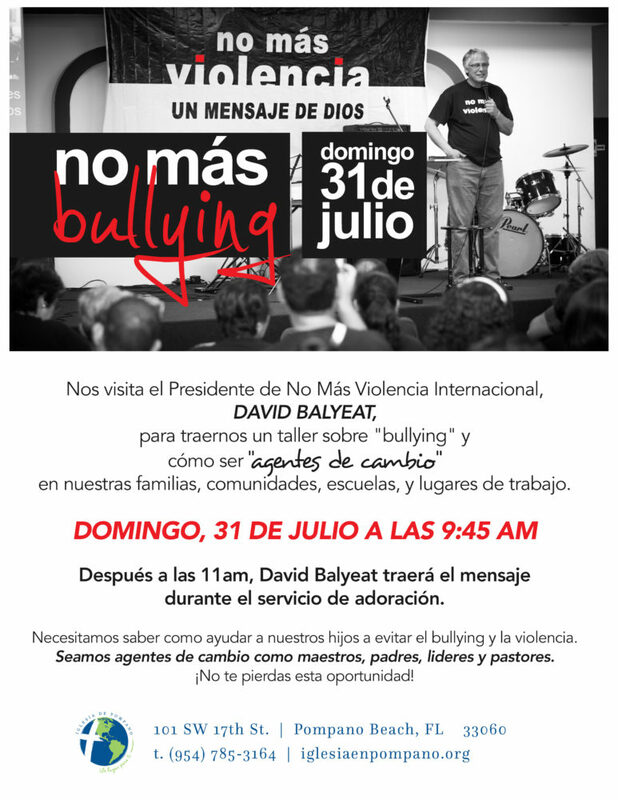 Below is a video of David Balyeat’s message in Spanish from 11am during their service.